What’s going on in there barrel when bourbon and whiskey is aging? Why is it so important? How long does it need to be in there? Does it need to go into a barrel? Well… the short answer is yes and we will try to clarify the many reasons why. As we’ve mentioned previously, to be considered a “bourbon” whiskey, and whether it’s for five milliseconds or fifty years, bourbon distillate must at least enter a brand new, American white oak charred barrel. Bourbon’s unique tannins and 100% of its coloring come from the barrel. Think of making tea: there’s an imperative extraction process that occurs. When the tea leaves and herbs hit the hot water, extracts and particles impart color and bring out the flavors of the leaves and herbs. With bourbon, we are able to see the same thing happen… just at a much slower rate. The speed and quality of the extraction is based on the charring of the barrel itself. 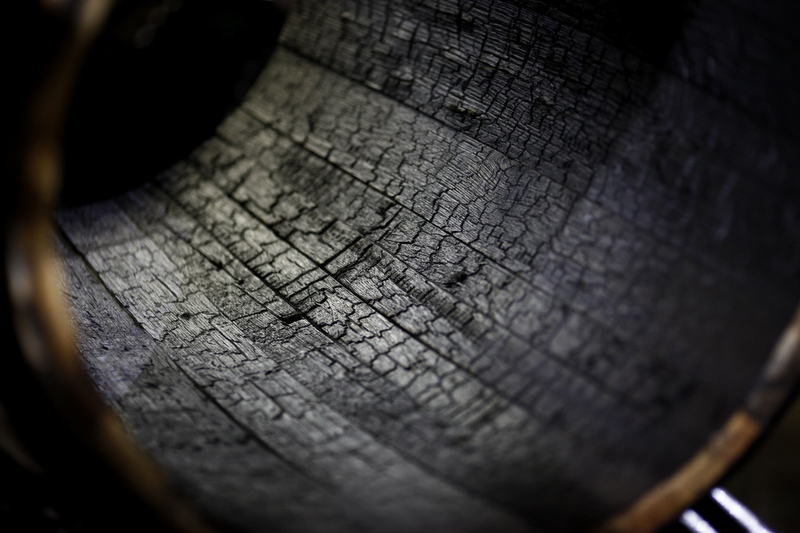 When the barrel is charred it releases the vanilla, wood sugars and special tannins. The heavier the char, the more intense the flavor and the quicker the color and flavors are imparted on the whiskey. As an example, 24 hours after we filled one of our barrels, the production team used a Whiskey Thief to test the contents. While it wasn’t the beautiful, amber color we’re familiar with for bourbon whiskey (it looked a little like rusty water)… the product did already have coloration! It is important that the whiskey hits the barrel for a few reasons, but in short we call it “esterification”. Esterification basically means taste formation. This is the process where the alcohol and the organic compounds combine and react to create ‘esters.’ These esters can be smelled and tasted. The more esters, the more flavor. For that reason, here at Southern Distilling Co., we use a higher level char to impart more esters into our bourbon. Once the whiskey hits the barrel, we can confidently call it bourbon. Then the barrels to go to sleep in the stows for 2 years to create a “straight” bourbon. During that time, the barrels are “breathing” during the hot summer and cold winter months… allowing air into the barrel and evaporating excessive heads of the alcohol. This helps to transform bourbon’s flavor by imparting more fruitiness, vanilla, and root and nut flavors. Barrels are an absolute essential for making a great bourbon, as 60%-65% of the flavor comes from the barrel it’s aged in. So in short, we want a great brand new American white oak charred barrel to impart its’ organic particles that enables the esterification, so in 2+ years time, we have an amazing bourbon.